WD TV Not Play AVI files? Why fail to play AVI files on WD TV Media Player? 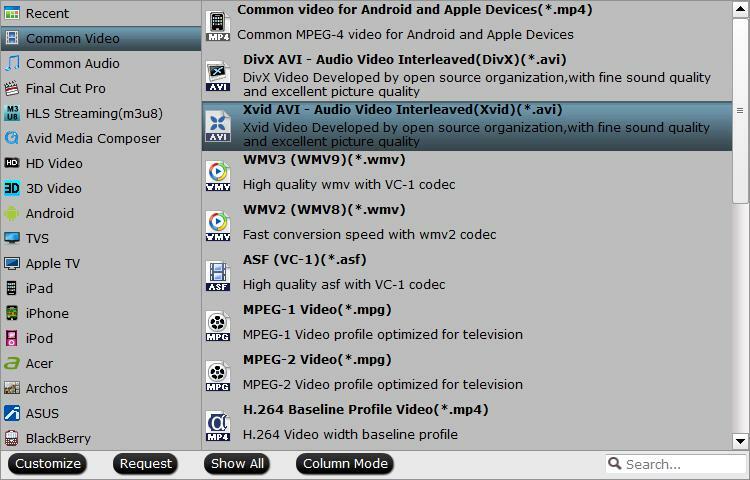 From WD TV supported file formats, we can see that although WD TV HD Media Player, WD TV Live Media Player and WD TV Mini Media Player has included native playback support for AVI files, however, only AVI files encoded with the following codec can be played on those devices. From above lists, we can see that you will fail to play DV AVI or Divx AVI files on WD TV HD, WD TV Mini and WD TV Live media player. In addition, only AVI files encoded with Xvid codec are supported by WD TV HD/WD TV Mini/WD TV Live media player. To get all AVI files played on WD TV HD/Mini/Live media player, you will need to perform a codec transcoding process. Here, you can get the job easily done with our best AVI to WD TV Converter – Pavtube Video Converter. The program has full support for all 4K/2K/HD/SD AVI files encoded with the compression codec of Divx, Xvid, DV, H.264/MPEG-4 AVC, MPEG-1, MPEG-2, MPEG-4, etc. Thanks to its batch conversion mode, you can load multiple AVI files into the application at one time for conversion. With the program, you can efficiently produce WD TV HD/Mini/Live media player compatible Xvid AVI format with perfect quality and super fast conversion speed. To get better output video and audio file quality, you can flexibly adjust output profile parameters such as video codec, bit rate, frame rate, resolution and audio codec, bit rate, sample rate and channels, etc to make them adapt with WD TV. Step 1: Imort unsupported AVI files to the program. Launch the application on your computer, click “File” > “Load Video/Audio” or “Load from Folder” to import AVI files to the program. From “Format” drop-down list, select WD TV HD/Mini/Live Media Player supported “Xvid AVI – Audio Video Interleaved(Xvid)(*.avi)” under “Common Video” main category. Tips: Click “Settings” to open “Profile Settings” window, you can flexibly adjust output profile parameters including video codec, resolution, bit rate, frame rate, audio codec, bit rate, sample rate, channels, etc as you like to get better output video and audio quality. Step 3: Begin the final conversion process. 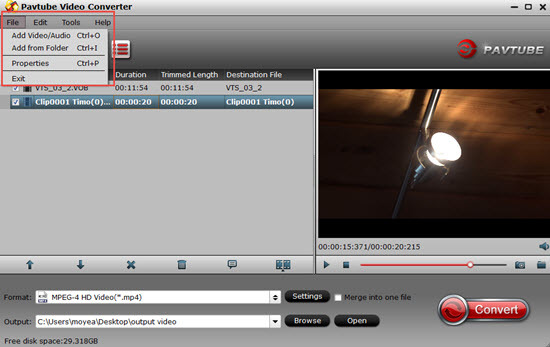 Clicking the Convert button in the right-bottom on main interface to start AVI to WD TV HD/Mini/Live media player supported Xvid AVI format conversion process, a conversion window will pop out with the detailed conversion information such as Time elapsed, Time left, Generated size, and Estimated size. After the conversion, you can click Open output folder to pop out the directory with the converted files. Then you can stream or play converted files on WD TV media player via either home network or external hard drives. Can WD TV Live Play Blu-ray ISO?